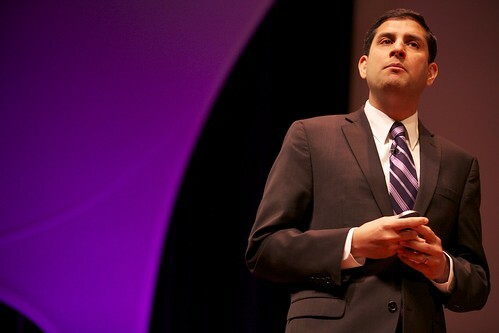 White House Chief Information Officer Vivek Kundra will leave the White House in August, Politico's Kim Hart reports. The details are mostly all there; a White House blog post confirms he will move to Harvard in mid-August to serve as a joint fellow at the Kennedy School and the Berkman Center for Internet and Society. Harvard has also released more details. Kundra, whose chief money-saving initiatives have been to allow citizens to track information technology spending through a web-based IT Dashboard and to push to move government web services onto cloud computing platforms, is only the latest White House technologist to move on. Beth Noveck, the deputy chief technology officer for open government, left the White House earlier this year to return to academia. She later began working with the British government. After a year as another deputy chief technology officer, Andrew McLaughlin, formerly of Google, left the White House at the end of 2010 to help launch Civic Commons, a nonprofit built to help foster the use of open-source technology in state and local governments, and to get those governments to share their technology and policy solutions.